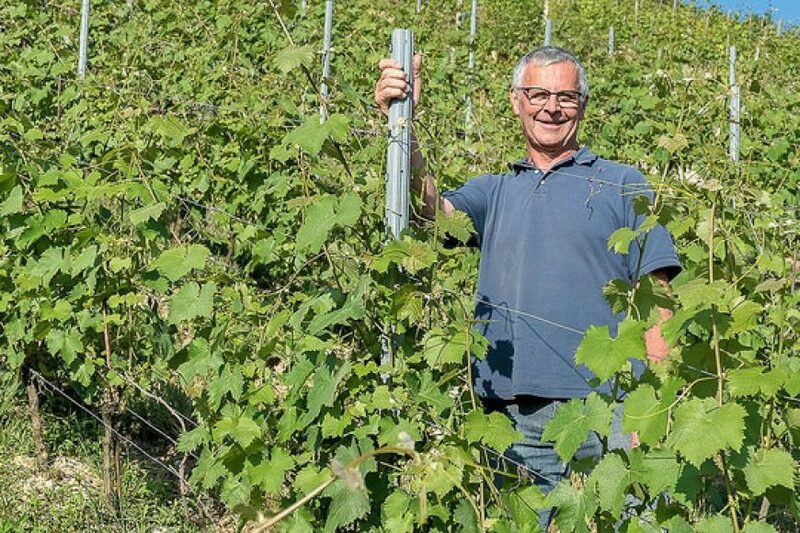 The most thoughtful Bugey vigneron, Patrick Charlin retired after the 2017 vintage having made wine for four decades; rather sadly, his children had no interest in taking over the estate. 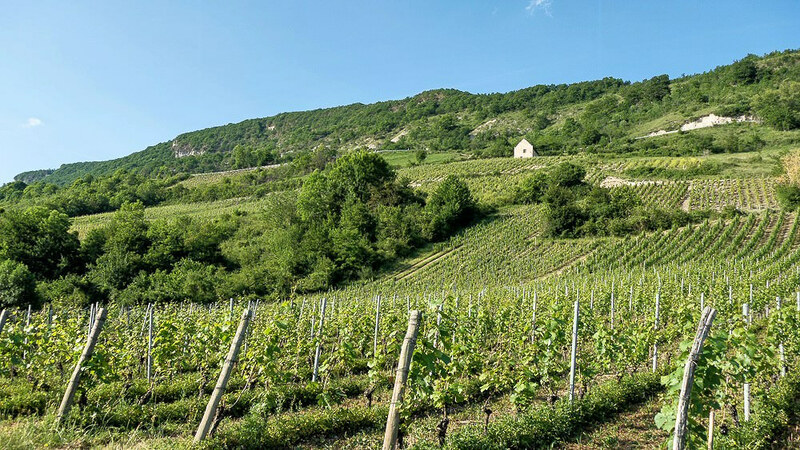 The following is the second excerpt from Wines of the French Alps: Savoie, Bugey and beyond, the forthcoming book by Wink Lorch and features a wonderful producer of southern Bugey, who has just retired. This new book will open the door to the history and modern developments in the small wine region of Southern Bugey and its crus, including Montagnieu. The book will be published in June 2019 and you can purchase it in advance here. 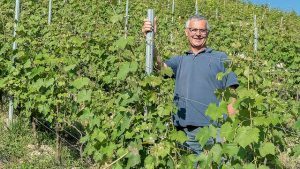 Having already reduced his holdings to 4.5ha, mostly in Montagnieu, Patrick Charlin’s remaining vineyards have been taken on partly by the new estate Domaine d’Ici Là, who are also renting his cellars, and partly by Yves Duport. Patrick’s father Pierre was a mixed farmer, and after studying at Beaune, from 1977 Patrick started to acquire land and vines. 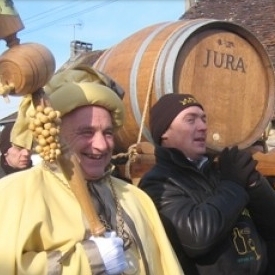 He is a rare champion of Altesse – specifically, Montagnieu Altesse – from the 1990s he started focusing on the grape’s quality potential. 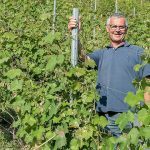 His vineyards were grassed down for many years and more than a decade ago he began gradually converting to organic farming, although he never sought certification. He always preferred hand harvesting. Patrick worked for a while in Champagne after wine studies in Beaune. Although he grew Chardonnay and Pinot for Bugey Brut, he found Montagnieu Brut easier to sell and for many years concentrated on this, making a fine one, usually from one-third each of Chardonnay, Altesse and Mondeuse, sometimes blending vintages, and with a low 4g/l dosage. Like his Chardonnay-dominated Bugey Brut it could age well, and this is the essence of Patrick’s wines – he made them to age, releasing them later than most producers. 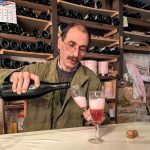 Overall his winemaking was always considered – whole bunch white grapes and, as in Champagne, he discarded the first and last juice from the press. He used the same yeast for whites as for his sparkling base wine, started fermentation at a low 12°C and avoided malolactic or racking. For his Mondeuse he picked very late and in more recent vintages used 30% whole bunches, for a little semi-carbonic maceration, to help liberate the spicy, peppery flavours. 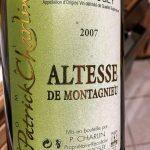 Patrick’s Altesse needs some ageing to show its best and he releases it at nearly three years old; waiting allows truffle flavours to evolve, as well as weight on the palate. Ten years old is nothing for this wine from a good vintage – acidity is normally a given, although Patrick is worried for the future with a warming climate, noticing he had too much alcohol in his Altesse in later years. His rustic and intense Mondeuse benefits from time too, but he releases it a little earlier. Patrick carefully ekes out his stocks and has even sold some to Becky Wasserman in the US. I urge you to snap up what you can. For now, they are great value. More excerpts from the book will be posted over the next few months. Follow Wines of the French Alps Facebook page or Wink Lorch on Twitter for alerts to the latest. 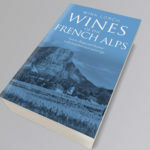 And, please encourage friends and colleagues to pre-order the Wines of the French Alps book.